If there’s anything workaholics do too much, obviously, it’s working. No problem, of course, unless that work is done while sitting. 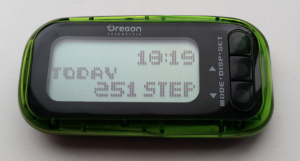 One of the oldest tools around to motivate people to walk more, is the stepcounter (pedometer). Today, I’m going to have a look inside of one. 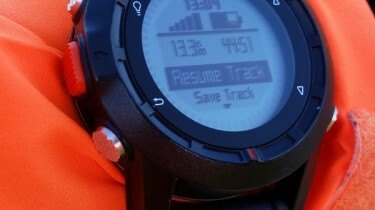 The Garmin Fenix is not the newest GPS watch around, but it still is a highly versatile device. It records a track logs and sensor data. And it has Bluetooth LE, for uploading tracks to Garmin Connect, and for displaying notifications from a smartphone. Yesterday’s technology is perfect for today.